Elmhurst Hospital Center, part of the New York City Health and Hospitals Corporation, is one of the first five hospitals certified in New York State as an ST Elevation Myocardial Infarction (STEMI) facility without on-site cardiac surgery. Elmhurst turned to Primex to resolve their need for time synchronization. 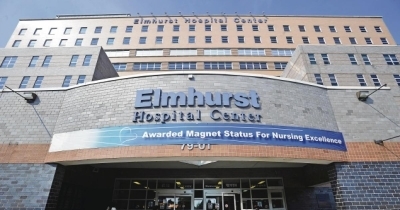 In 2008, the clocks throughout Elmhurst Hospital Center were not synchronized. Time in the Emergency Department (ED) could be off by two or three minutes from the time in the Radiology Department. The clocks in the Cardiac Catheterization Lab could also be out of sync with those in the ED and the Radiology Department. Because, the hospital’s clocks were not synchronized, its Door-to-Balloon times were not being recorded with precision. This presented compliance and documentation challenges for Elmhurst Hospital Center’s STEMI (ST Elevation Myocardial Infarction) program, which was required to closely monitor its Doorto- Balloon times for cardiac patients who were receiving emergent angioplasty procedures. Continuous improvement of Door-to-Balloon time was essential to maintaining the hospital’s STEMI certification from the State of New York. Staff members were often frustrated that they missed the 90-minute Door-to-Balloon requirement by as little as one to three minutes. After careful analysis of the situation, Georges Leconte, the hospital’s Associate Executive Director of Ancillary Services, and his colleagues realized the compliance figures were being inaccurately reported because the time within the three units were not synchronized. Not only were the clocks not synchronized, but the caregivers were using their watches to document care times, creating inaccurate time records for patients in the STEMI program. While attending the National Association of Health Services Executives (NAHSE) annual educational conference in Atlanta, Georges Leconte discussed his challenges with Primex Wireless. Following the conference, Primex Wireless provided the hospital with a demo of the Synchronous Network System. After careful evaluation of three vendors, Elmhurst Hospital Center selected Primex Wireless for a pilot program to install the Synchronous Network System (SNS) in the three units that comprised the core elements of the STEMI program: the ED, the Radiology Department, and the Cardiac Catheterization Lab. Primex Wireless strategically installed (three-inch) LED clocks in key lines of sight across all three units to allow caregivers to document time without having to strain their necks or their eyes to check the clocks. With the SNS platform, the clocks were all synchronized and controlled through one system tied into the hospital’s time source, and not through an external source – a key requirement. By 2011, the hospital was able to eliminate many of the 1-3 minute “fallouts” that previously occurred because time was not synchronized across all three units. In fact, the Door-to-Balloon times for the STEMI program were improved – by more than 10 percent – an accomplishment that the hospital proudly demonstrated to New York State. In addition to the Door-to-Balloon compliance improvements, Elmhurst Hospital Center also realized another benefit: tremendous improvements in documentation of treatment times for stroke patients, according to Leconte. The SNS clocks do not require batteries since they are powered through the hospital’s Ethernet network, which cuts down on maintenance costs. The hospital is also able to simultaneously reset all the SNS clocks for Daylight Saving Time automatically through the platform without manually touching every clock, achieving even more maintenance savings. In addition, computers, phones, clocks and certain medical equipment are all synchronized, making documentation for compliance purposes much more accurate across the board. The program was so visibly successful that Leconte was quickly besieged by requests from other departments to expand into their units. The Primex Wireless SNS platform was quickly expanded to include Labor & Delivery as well as the Operating Room, and has now been implemented across several of the hospital’s clinical units. The hospital plans to eventually expand the Primex Wireless SNS platform to connect clocks in all patient rooms across the hospital. Leconte estimates that the hospital has already achieved a full return on its initial investment in the SNS platform in a little more than two years. Clocks, phones, computers and certain medical equipment are synchronized to the same time throughout most of the hospital, enabling better monitoring and maintenance. The hospital has been able to more accurately document treatment times across the hospital’s operations and specifically in its STEMI program, Stroke Center, Operating Room and Labor & Delivery Suite. Engineering and IT departments can remotely access data through the SNS Web portal to ensure time is synchronized across the units, instead of having to travel to each location to manually conduct a visual check on clocks and equipment. "Of all the systems we looked at, we immediately knew that Primex was the best one for our needs, and they have not let us down. The system works great, and we loved the way it synchronizes through our existing network."